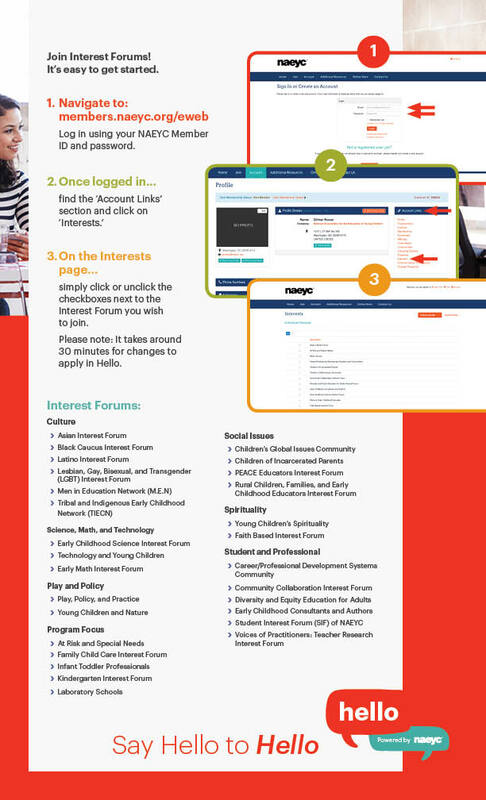 As an Interest Forum member—you get to dig deep in an interest area, present at conferences, lead discussions, and support your colleagues through discussions on HELLO. 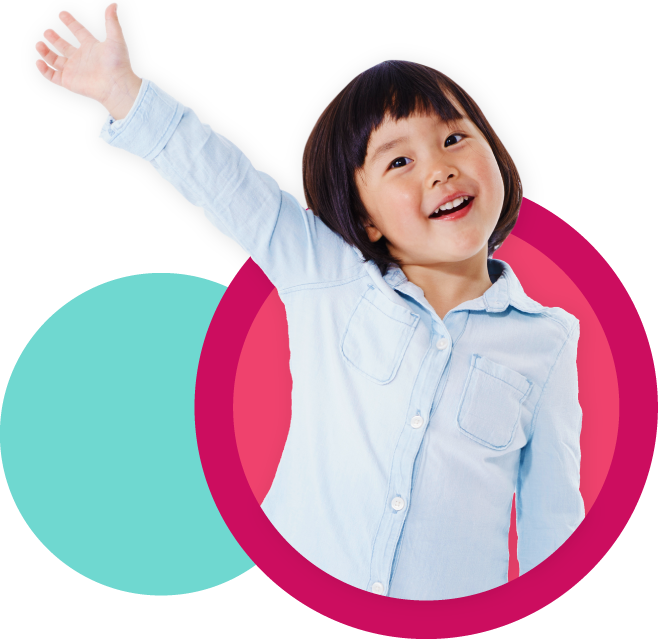 Log in using your NAEYC Member ID and Password. Find the “Account Links” section and click on “Interests”. Simply click or unblock the checkboxes next to the Interest Forum you wish to join. Please note: It takes around 30 minutes for changes to apply in Hello.